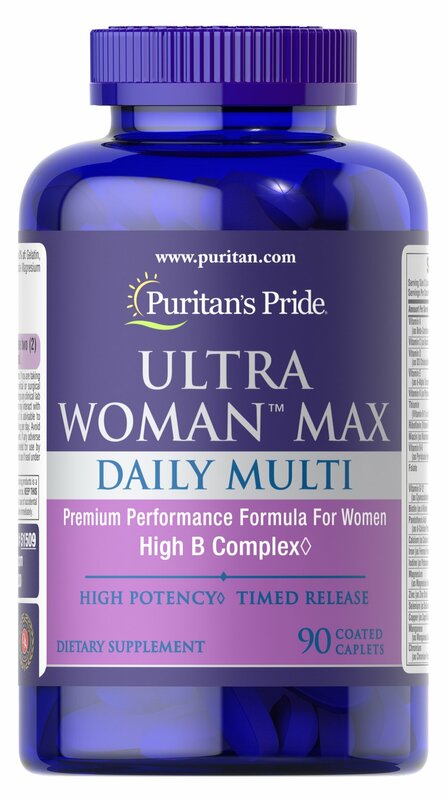 This high potency daily multi was designed with a woman's specific health needs in mind. The antioxidant blend (including antioxidants like Vitamin C and Vitamin E) helps neutralize harmful free radicals. ** Free radicals can damage cell membranes, including those of important tissues. Contains 90 coated, timed-release caplets. No Artificial Color, No Preservatives, No Sugar, No Wheat, No Yeast, No Fish.